IKO Polymeric has installed new state-of-the-art equipment at its Clay Cross factory in Derbyshire to refine the whole production process. 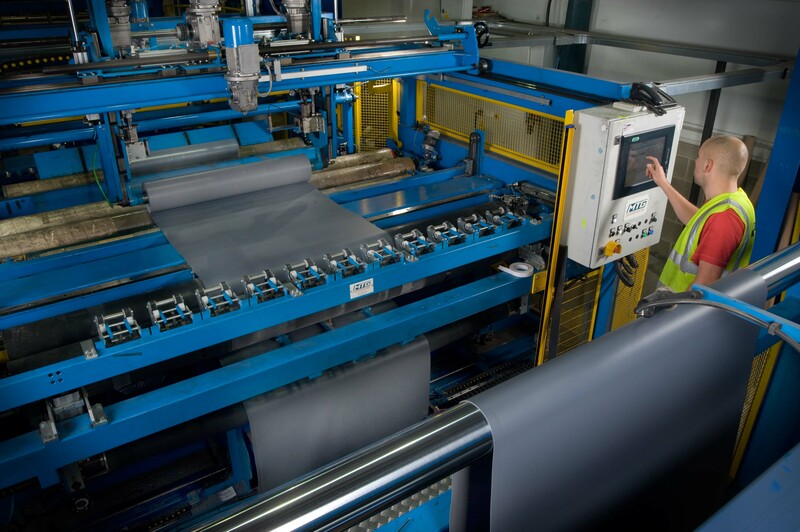 The new machinery will increase efficiency, deliver impressive quality control and enhanced packaging for its Armourplan PVC and Spectraplan TPE single ply membranes. The new equipment has a ‘Vision’ system which uses 8 cameras to monitor the consistency of the membrane, precisely identifying any imperfections and inconsistencies. IKO Polymeric is the only UK-based PVC and TPE single ply manufacturer and is proud to have achieved BES6001 for Responsible Sourcing.